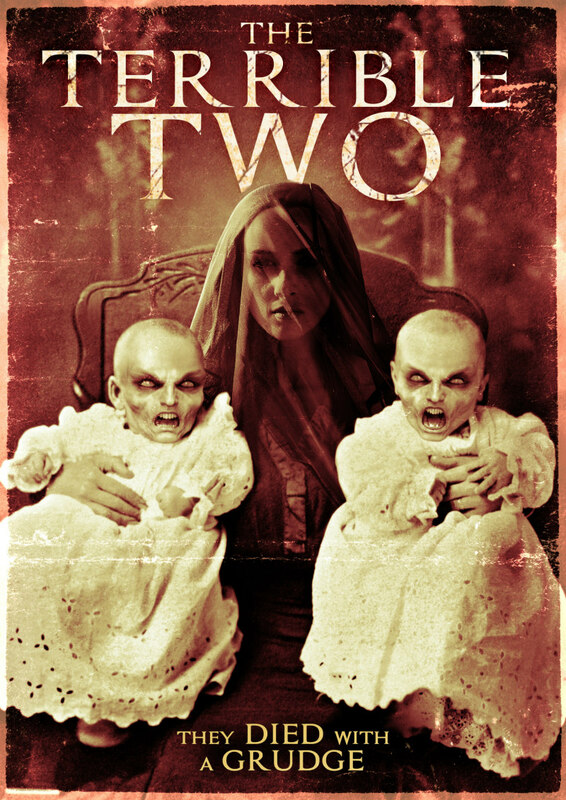 Writer/director Billy Lewis discusses his new horror movie, The Terrible Two. The Terrible Two, from writer/director Billy Lewis, plays a bit like a less comedic, gravely serious take on Brian Taylor’s Mom and Dad. The low-budget thrill fest, says its captain, was a labour of love, and judging by early reviews, it’s a success. You can check it out come March on VOD. The film looks great. Have you had a chance to see it with an audience yet? How was the reaction? Thank you! First off let me say we made this entire feature film, pre to post-production for $35K! I mean, that is insane. I’ve had 30 second TV Commercial shoots for my production company (orangestfilms.com) with way bigger budgets than that. We had a private screening for cast/crew and family/friends several months back and got an overwhelmingly positive response. We also had one public screening for those who knew nothing about The Terrible Two and many were surprised by what we produced. We had many in the audience crying during some of the more emotional scenes in the movie. It has sort of an Insidious vibe? Is that right? Did the films of James Wan serve as an influence here? Funny you say that about James Wan. He did a film in Wilmington, NC, where we shot The Terrible Two, called The Conjuring, and we had several people work on our film that worked on that movie. I’m a big fan of Wan but am more influenced by Alfred Hitchcock, Stanley Kubrick and M. Night Shyamalan. I tried to be as original with The Terrible Two as possible, although it seems almost everything has been done these days. Yes, as I mentioned it was shot in Wilmington, NC with a local crew. Actors came in from all over. 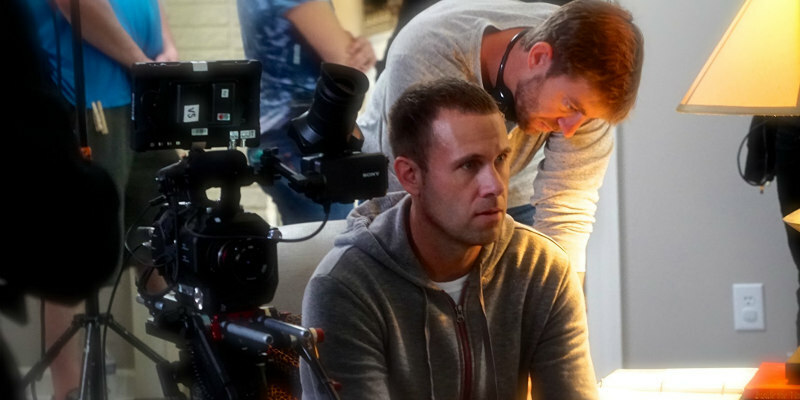 Our two main lighting grips worked on The Conjuring and did a phenomenal job lighting this movie, and they moved at lightning speed, which helped speed up production. We shot the entire movie in under 10 days. Did the film have test screenings, do you know? Do independent films, on the whole, use those? Like I mentioned, we had two different screenings in one night and probably had 300-400 people show up to watch the movie, and most were pleasantly surprised by the film. With such a small budget and such a tight production schedule, I’m really proud of what we accomplished with this movie. We won’t be winning any Oscars with this film, but my hopes are people will give this little movie a chance and enjoy it for what it is. Do you see this as a critic’s movie or as an audience pleaser? Or do the two now go hand-in-hand? I tend to think the two go hand in hand. Again, I hope all those who watch The Terrible Two will give it a chance and take into consideration that we made this film on a shoe-string budget. I don’t care if you make the best movie in the world, you are never going to be able to make everyone happy. I hope both critics and audiences find the film entertaining. If I had to do it over, I’d probably change a hundred things in it, but at the end of the day it is what it is and again my hopes are that those who watch the film will see that it is a good story if you truly give it a chance and pay attention to what’s happening in the movie. Horror hasn’t really been recognised as much as it should’ve been in recent years, but with Get Out now up for Oscars, things seem to be changing. Would you like to see more and more of these films be up alongside… well, whatever Meryl Streep has any given year? I think no matter what genre your film is that if you tell a good story it should be recognised and honoured. That’s my hopes for my future filmmaking, to just tell good stories if I’m blessed enough to keep making movies. But I do love horror very much and hope to continue to make horror movies because I love the fan base of horror films. They are super critical, but that’s okay. Very proud of Get Out for breaking the mould as far as the Oscars are concerned. How important is social and online marketing for a movie like this? Online marketing and social media is everything for The Terrible Two. Like I mentioned, we made this movie for under $35K so obviously we don’t have the big marketing budget to promote the film like I wish we could. I strongly believe that if we had $1 million to promote this movie and opened in 1,000 screens across the US that this film would make $10 million. Call me naïve and biased, but I truly believe that. So, I hope this film catches fire and goes viral online, why not? Are you online yourself? Where can we follow you? Yes, you can follow me and my company Orange St Films. And so on and so forth (me, my company and The Terrible Two are on about every social media out there). Thanks for the support. We are just tipping the iceberg with the types of films we can produce but it takes support from those who believe in independent film.